Original and thought-provoking, this collection sheds new light on an important yet understudied feature of seventeenth-century England's political and cultural landscape: exile. Through an essentially literary lens, exile is examined both as physical departure from England-to France, Germany, the Low Countries and America-and as inner, mental withdrawal. In the process, a strikingly wide variety of contemporary sources comes under scrutiny, including letters, diaries, plays, treatises, translations and poetry. The extent to which the richness and disparateness of these modes of writing militates against or constructs a recognisable 'rhetoric' of exile is one of the book's overriding themes. Also under consideration is the degree to which exilic writing in this period is intended for public consumption, a product of private reflection, or characterised by a coalescence of the two. 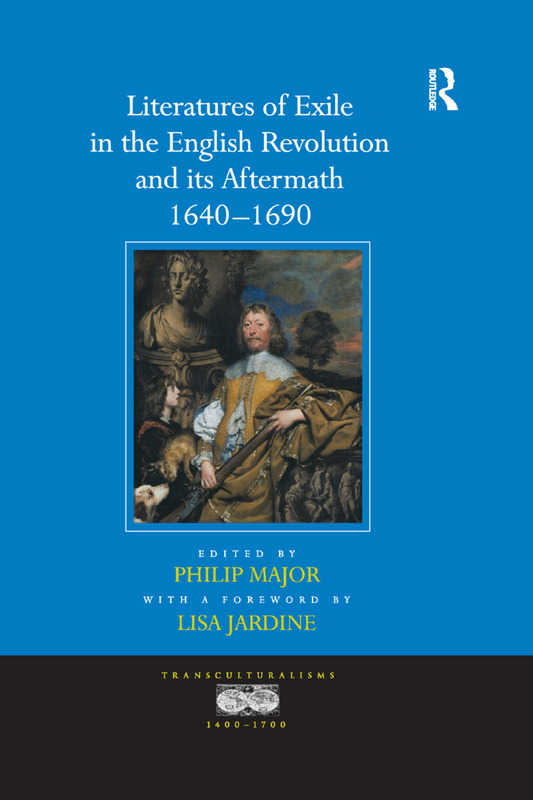 Importantly, this volume extends the chronological range of the English Revolution beyond 1660 by demonstrating that exile during the Restoration formed a meaningful continuum with displacement during the civil wars of the mid-century. This in-depth and overdue study of prominent and hitherto obscure exiles, conspicuously diverse in political and religious allegiance yet inextricably bound by the shared experience of displacement, will be of interest to scholars in a range of disciplines. Contents: Foreword, Lisa Jardine; Introduction, Philip Major; Exiles, expatriates, and travellers: towards a cultural and intellectual history of the English abroad, 1640-1660, Timothy Raylor; Disruptions and evocations of family amongst Royalist exiles, Ann Hughes and Julie Sanders; A broken broker in Antwerp: William Aylesbury and the Duke of Buckingham's goods, 1648-1650, Katrien Daemen-de Gelder and J.P. Vander Motten; A tortoise in the shell: Royalist and Anglican experience of exile in the 1650s, Marika Keblusek; Exile, apostasy and Anglicanism in the English Revolution, Sarah Mortimer; Exile in Europe during the English Revolution and its literary impact, Nigel Smith; Abraham Cowley and the ends of poetry, Christopher D'Addario; 'Not sure of safety': Hobbes and exile, James Loxley; 'A poor exile stranger': William Goffe in New England, Philip Major; 'The good old cause for which I suffer': the life of a regicide in exile, Jason Peacey; Works cited; Index. Philip Major teaches English at Birkbeck College, University of London. He has published widely on seventeenth-century literature and is currently writing a monograph on the works of Thomas, 3rd Lord Fairfax.